Second entry regarding distribution of zines. 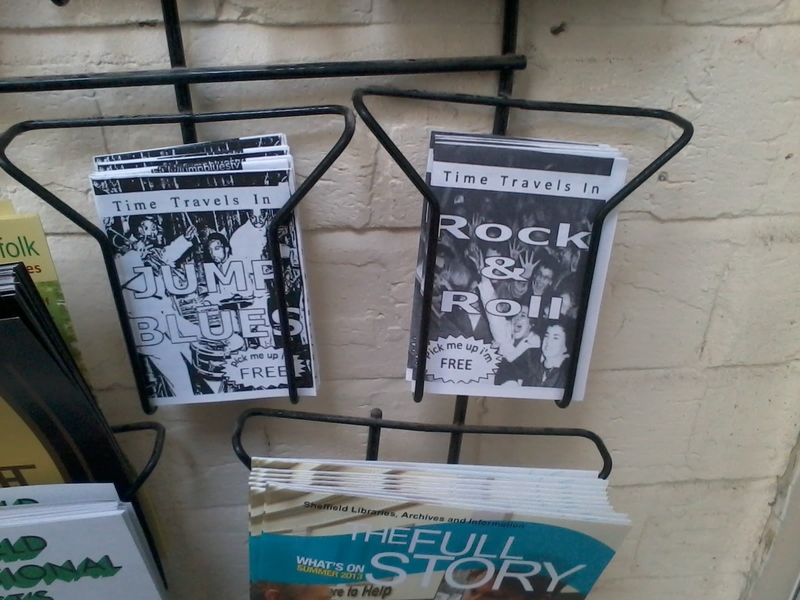 I have had the pleasure to have had many reasons to be visiting Bank Street Arts recently so I decided to drop of 5 of both the Jump Blues and Rock & Roll zine. This is the third time I have left zines at Bank Street and again they are never there the next time I return. I will be heading over that direction again next Wednesday so will be able to witness how they have fared.